UK retailer Tesco has launched a new range of cold-pressed fruit juices which are made exclusively from fruit and vegetables that fall outside of produce specifications. 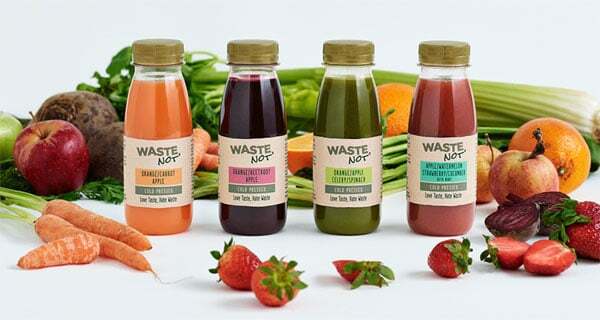 Juices in the new Waste NOT range will be made from surplus apples, beetroot, strawberries and watermelon, and will be produced by Tesco’s produce suppliers G’s and AMC. Tesco says that the range could save up to 3.5 tonnes of surplus fruit and vegetables in the first 12 weeks of going on sale, drastically cutting food waste levels. Four flavours will initially be available in the range: Orange, carrot & apple; orange, beetroot & apple; apple watermelon, strawberry, cucumber & mint; and orange, apple, celery and spinach. Each flavour will retail for £1.50 per 250ml bottle, and each bottle used for the range will be made from 30% recycled plastic. Tesco prepared fruit buyer Jo Batty said: “These delicious juices are the latest way that we are helping tackle food waste by ensuring as much of the crop as possible gets used. Mike Bullock of Waste NOT said: “Around 50% of celery is discarded in the UK, before it even gets past the farm gate, beetroot deemed too large or small is rejected.